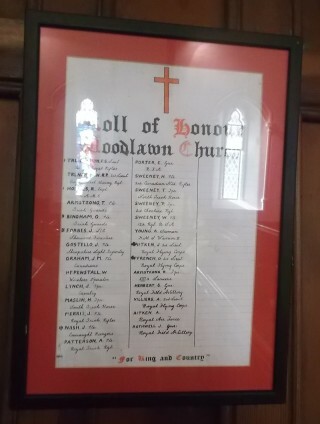 The following names are listed on the Roll of Honour, hanging inside the door of Woodlawn Church. 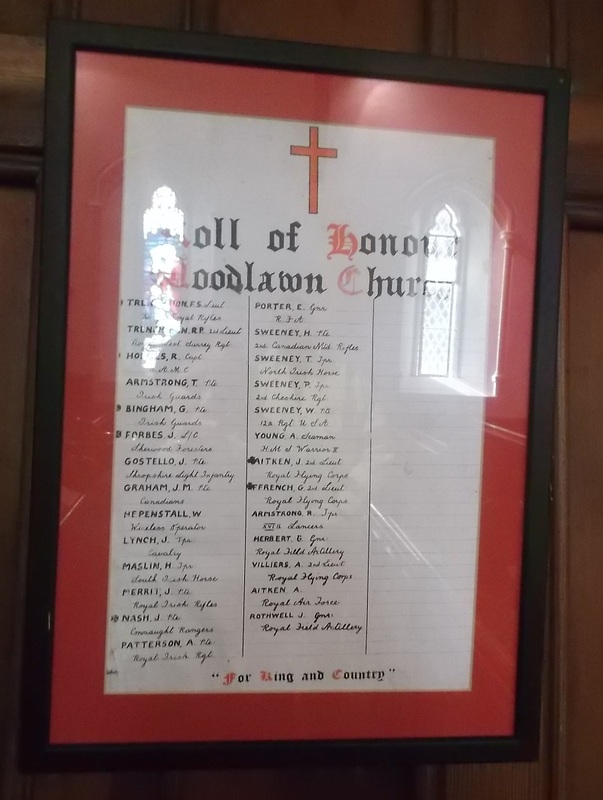 This is a tribute to those who once worshipped in Woodlawn Church and served in the First World War. 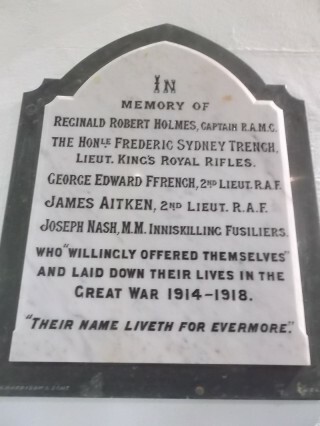 A memorial also hangs on the southern wall in memory of those killed in action. Lord and Lady Ashtown had a stain glass window erected in memory of their son Frederic killed during the Battle of the Somme, 1916. Maslin, H. Tpr, South Irish Horse.